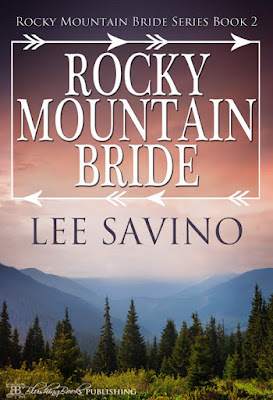 I'm sharing another great western on my blog today - Lee Savino's Rocky Mountain Bride which has been rocking it's way up the Amazon charts. Congratulations Lee! A mail order bride running from her past. A stern homesteader who takes her in hand. Love grows from strict discipline in the Wild West. When Carrie steps off the stagecoach into Colorado Territory, she realizes the truth: she’s come to the middle of nowhere to marry a man she’s never met. Miles Donovan is strong, solemn and strict—the husband she needs to start her life anew. Amid the dangerous wilderness, he promises to take the lead and train her to be a good wife to him. But when her past catches up to her, Carrie is ready to run again. It’s up to Miles to help her face her fears, and teach her how to love.